MikroTik Router Operating System will replace your hardware router and will provide more functions at a fraction of cost. Firewall, Wireless, Routing and VPN are just a few of the functions it provides. The most advanced wireless driver will provide most stunning wireless results, reaching maximum distances at maximum speeds (example 100Km link at 5Mbit, or 35Mbit at 57Km). 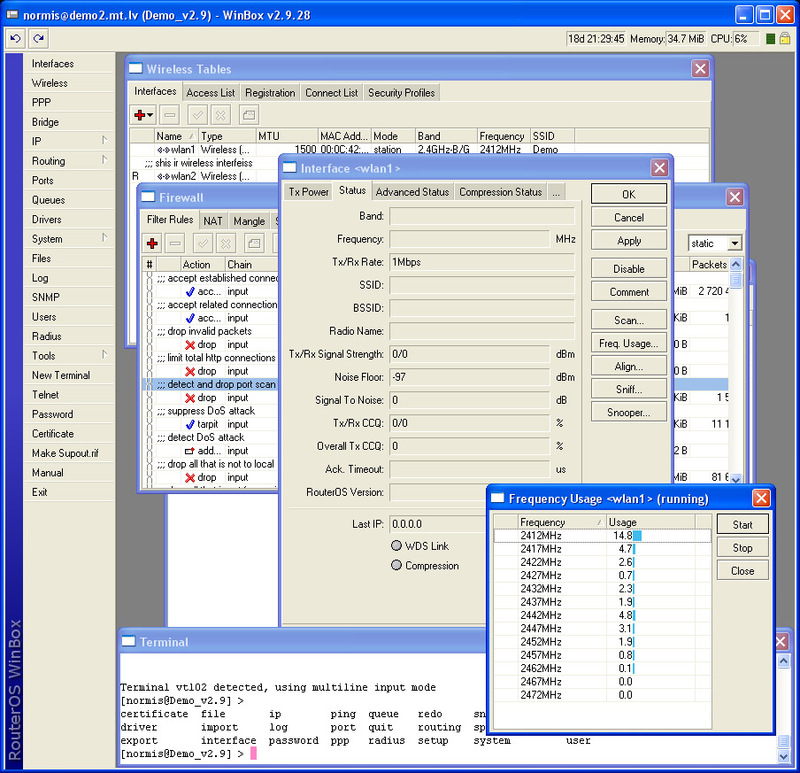 It comes with a graphical windows utility to remotely configure it. See more information on our website and the documentation.